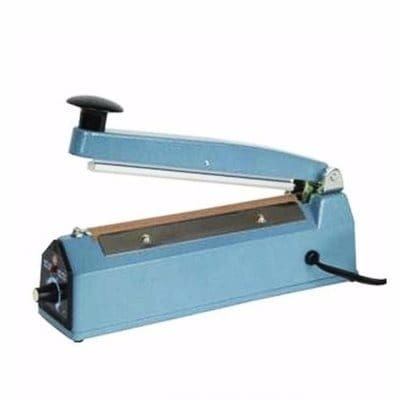 This sealing machine seals bags of candy, peanuts, groceries, dried foods, flour,.etc. with a secure tight seal. Cast iron body. Electrical appliance with adjustable temperature dial for different bag materials and thickness.